Modern feminists (i.e. since the 19th century) often posit the premise: What if women ran the world? 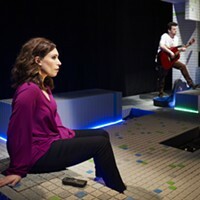 But the ladies in the Throughline Theatre Co. production of Medea ask: "What if women wrote the songs" — that is, determined the story and how men are portrayed, instead of the other way around? That's a workable — if ahistorical — interpretation of Euripedes' classic from 431 BCE. Throughline artistic director Liam Macik and play director Michael McBurney don't specify whether any particular interpretation of the ancient text is used. Rather, this Medea seems to be a very free adaptation, with modern language and very modern ideas. And it's kind of fun. 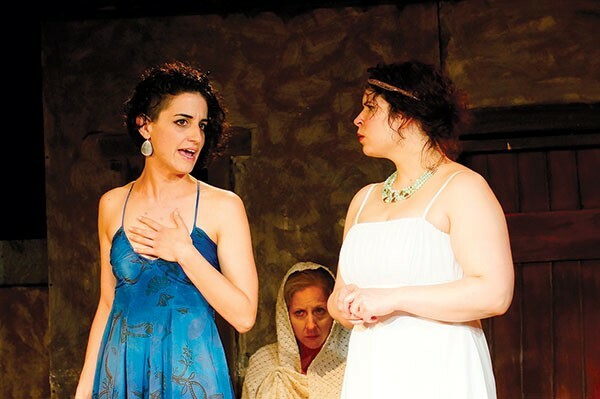 Medea sees through men's BS with a very sharp wit, and there are more than a few good laughs. The chorus is spectacular, led by Elizabeth Farina (also company special-events coordinator) and comprising Ursula Asmus Sears (marketing director), Lisa DePasquale, Elena Falgione and Marsha Mayhak. 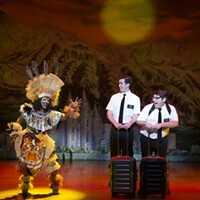 Though nameless, the individual members are not entirely anonymous, garbed as they are in very similar but differently detailed costumes, designed by Kim Brown of Spotlight Costumes. No disrespect, but most male characters come off as self-satisfied buffoons (as they should, especially Michael Brewer as the unfaithful Jason, and John Feightner as the bullying King Creon). Kevin H. Moore is the XY exception as the magnificent but sensitive and sympathetic King Aegeus. Kudos are also due backstage to Joseph A. Walker and Maryane Kimbler for the spare but ample set and props, with lighting design by Jordana Rosenfeld. Tina Marie Cerney manages the stage well; Katie Trupiano is assistant director. 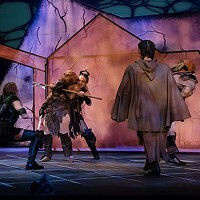 A tight one-act, this Medea challenges age-old problems (two millennia and counting) of sexual politics for a hip modern audience.